This has been achieved by automating the flow of data directly from the Office Brands product database into Readysell 8 member systems. You can review the result of the nightly update by going to “Product Import Rules” under “Administration” in your Readysell instance. Also available is the option to have Readysell automatically update your product file based on the criteria of your choosing (e.g. products from certain catalogues only, or products that meet a certain data quality threshold). If you are interested in the automatic update feature, please open a ticket with Readysell Support to discuss your requirements and develop an implementation plan. Readysell 7 customers will gain access to some of the benefits outlined above in the coming weeks. We will provide an update once this has been rolled out. 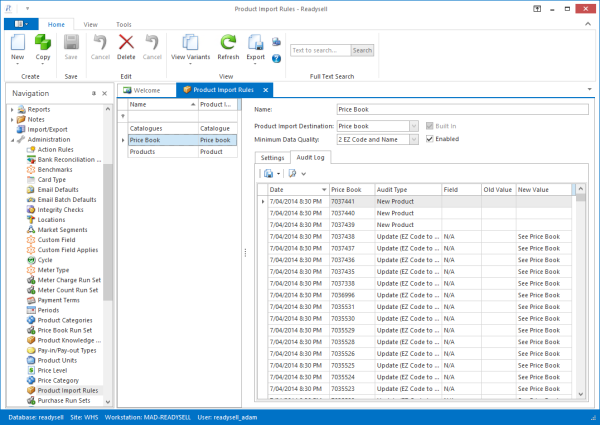 We look forward to hearing your feedback on this new feature and hope that it goes a long way to improving the quality, timeliness and overall usefulness of your product data in Readysell.